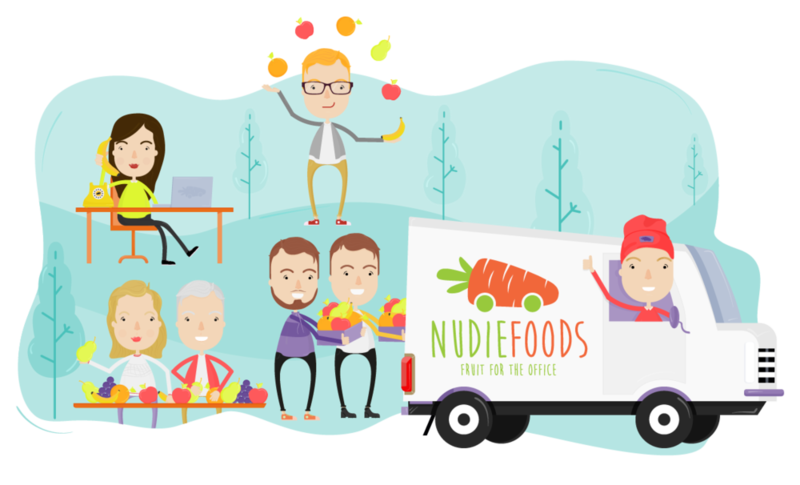 NudieFoods specialises in fresh fruit deliveries to offices all over Dublin. We are passionate about quality. From handpicking the finest market fresh fruits to the professional customer service of our friendly and reliable fruit delivery team, we pride ourselves on providing the highest quality fruit delivery service in Dublin. NudieFoods was set up by me - Paul 'Nudie' Hughes - with the help of my brothers Brian & Andrew in April 2014. After leaving college and spending a couple of years working in Dublin's Fruit & Veg Market with Keelings, I decided to set up my own business specialising in office fruit delivery in Dublin. I could see that office culture in Dublin was embracing workplace wellbeing initiatives and knew that I could provide a really high quality source of healthy snacks at an affordable price that could feed into this movement - excuse the pun! The big advantage that market fresh fruit has over supermarket stocks is TASTE. Since I could provide this for the same price as the supermarket and include free delivery, I knew that we would be able to pair fresh quality with convenience and value. All I needed was a name! Since 'Nudie' my childhood nickname encapsulates everything that is good about raw, natural and clean-eating produce such as fruit it seemed to be the perfect fit. Hence NudieFoods was born and we have not looked back. We currently provide fresh fruit delivery orders to over 120 offices in Dublin per week and are always looking for fruitful ways to improve our service and reach new customers. We are continuing to grow and we are loving every minute of it. Our office fruit delivery team consists of myself (Paul), Frank, Grainne, Melissa, Kilian, Jim and Ted (and Brian & Andrew are always roped in). With a vast knowledge of the Dublin's Fruit Market and by working closely with our suppliers, we are able to offer the highest quality fresh fruit to our many customers. We visit the Market in the very early hours each morning to handpick and purchase the produce before bringing it to our premises in Blanchardstown where we pack the orders. Frank joined NudieFoods in the very early days and has been there through the great and the even better times. Grainne is always at the end of the phone to take your order and organise your delivery and Melissa & Kilian make sure the orders are packed beautifully and delivered with care. Our delivery runs start at 4am! You'll see Nudie, Frank, Ted and Jim out doing deliveries in the city if you keep an eye out for the vans and are awake early enough. Our customers are always delighted and we look forward to delivering a great service to more and more companies in the future.